SKF has developed electrically insulated bearings, called InsocoatTM, to protect against damage caused by electric current.The problem of electric current passing through rolling bearings and causing damage in the contact area of balls or rollers and raceways of inner and outer rings has been known for almost 70 years. 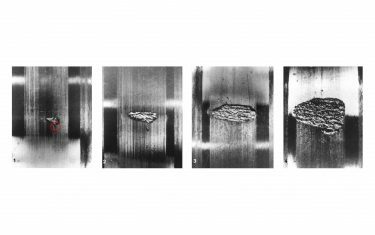 In addition to the damage to bearing elements, it was also supposed that the structure of the lubricant itself might change under the influence of a passing current. All rotating machines, both AC and DC motors, potentially suffer from this phenomenon. 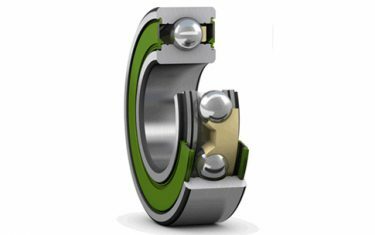 SKF has developed electrically insulated bearings, called InsocoatTM, to protect against damage caused by electric current. These bearings are provided with an electrically insulated coated outer ring (VL0241 series). The coating consists of a nominal 100 µm thick aluminum oxide layer and is applied by a special coating process using plasma-spraying technology. 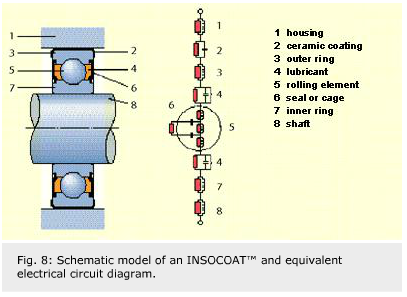 The dimensions and tolerances of INSOCOAT bearings are the same as for standard bearings (Fig. 1). For DC currents, the coating acts as a pure resistor and guarantees sufficient insulation against electric currents. The ohmic resistance is far bigger than 50 MW. 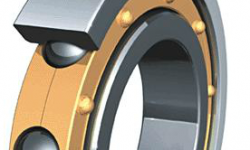 Leading manufacturers of electrical machinery and traction motors today use INSOCOAT bearings. These bearings are also used for other railway applications, such as wheel bearings and axleboxes. In the past few decades, the demand for AC motors in railway and especially industrial applications has grown rapidly. The three-phase induction motor is the most commonly used type of motor in industry. The applications range from simple fan drives to high performance paper line drives. Again, the problem of bearing currents was observed and many possible reasons for bearing currents and shaft voltages have been identified. With sinusoidal line voltages, the bearing current is generated by asymmetries in the motor’s magnetic circuit. The asymmetric flux distribution inside the motor induces an axial shaft voltage, which further leads to a low-frequency circulating current flowing through the bearings. Asymmetric, non-shielded motor cabling also generates bearing current. These “classic” bearing currents are a problem especially for large motors with low numbers of pole pairs (e.g., two-pole motors). They have larger flux asymmetries than small motors or motors with many poles. Some countermeasures have been developed – mainly different means of insulation. But better design of motors and cables has also helped to minimize these problems. In the 1990s, the increasing use of variable speed drives (VSD) has had a dramatic effect on the number of identified bearing failures. The reason is that the power-switching semiconductor devices used in frequency converters have changed from thyristors to gate turn-off transistors (GTOs) and further to the insulated gate bi-polar transistors (IGBTs) that dominate the VSD market today. These IGBTs are used to create the pulse width modulated (PWM) output voltage waveform and thereby improve efficiency and dynamic performance of the drive. Sadly there is no advantage without compromise. So apart from the classic voltages and currents generated by the motor itself, new effects have been observed when the motor is supplied from a PWM converter (frequencies of 3 to 12 kHz, depending on the power range). It has been discovered that the bearing damages are now caused by a high frequency (5 kHz – 10 MHz) current flow that is induced by these fast-switching (100 ns) IGBT semiconductor devices. These IGBTs also cause a very rapid voltage rise (du/dt) up to 5-8 kV/µs or even up to 10 kV/µs at the converter output. So another new, so far unknown, source for bearing currents has been detected and is under investigation, although it is not yet completely understood. As already mentioned, the first two sources are potential risks for all electrical motors, whether they are main-fed or converter-fed motors. The reason for the first two types of currents is the common mode voltage at the converter output. It is produced because the sum of the three-phase voltages is not equal to zero. Furthermore, the frequency converter tries to simulate a sine wave supply by PWM signals, which have a high switching frequency and are very steep-edged pulses, which cause capacitive discharge currents. 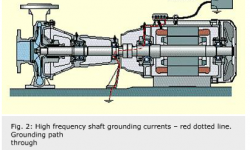 High frequency shaft grounding currents are a similar problem to poor cabling. Here, the protective earth voltage is produced due to the common mode voltage from the converter and has a much higher frequency. If the impedance of the return cable is too high and if the stator grounding is poor, the current will take a path from the stator, through the bearings and the shaft via ground back to the converter (Fig. 2). This common mode voltage causes a common mode disturbance, which produces a current asymmetry between the three phases in the stator windings. The sum of the current over the stator circumference is not zero. 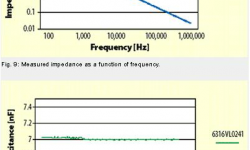 A high frequency (HF) flux variation is surrounding the shaft, creating a HF shaft voltage. 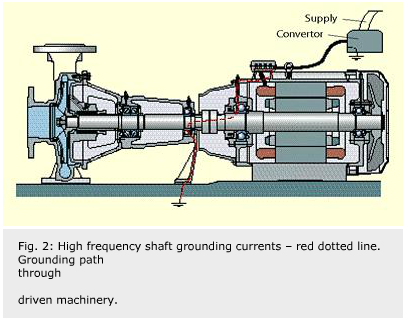 This results in a potential risk for high frequency circulating currents flowing axially along the rotor, through one bearing and back through the other bearing (Fig. 3) High frequency circulating currents always have a different sign at each bearing. In a rolling bearing that is working well, the rolling elements are separated from the ring-raceways by the lubricant film. From the electrical point of view this film acts as a dielectric, which is charged by the rotor voltage. For high frequencies it forms a capacitor, the capacitance of which depends on various parameters such as the type of lubricant, temperature and viscosity, plus film thickness. If the voltage reaches a certain limit, the breakdown or threshold voltage of the lubricant, the capacitor will be discharged and a high frequency capacitive discharge current occurs. In this case, the current is limited by the internal stray capacitances of the motor, but it will occur every time the converter switches. One can see that an induction motor fed by a frequency converter is a very complex drive system, which is influenced by many parameters. The whole drive, including supply, DC link, switching elements, cables, motor and load, has to be regarded as a total system consisting of inductances and distributed capacitances. When an electric current passes through a rolling bearing, electrical discharges take place through the lubricant between the raceways of inner and outer ring and the rolling elements. The heat, which is generated by the discharge, causes local melting of the bearing metal surface. Craters are formed and particles of molten material are transferred and partly break loose. The crater material is rehardened and is much more brittle than the original bearing material. Below the rehardened layer there is a layer of annealed material, which is softer than the surrounding material. 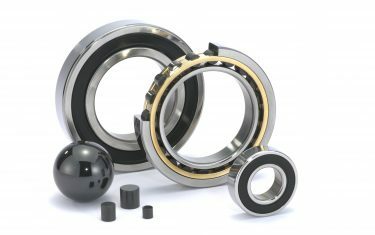 In rolling bearings, three major types of current damages have been classified according to the appearance of damaged surfaces. A very well known electric current damage is the electric pitting. It is mostly related to single crater damage and typically seen in DC applications such as railway traction motors. The size of the crater is from 0.1 up to 0.5 mm in diameter and can be seen with the naked eye (Fig. 4). The source that produces such craters is mostly a very high voltage source, which is extremely powerful. 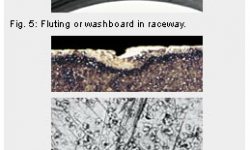 Fluting or washboard is a pattern of multiple gray lines across the raceways (Fig. 5). They appear shiny and dark discolored. The reason for this fluting is a mechanical resonance vibration caused by the dynamic effect of the rolling elements when they are rolling over smaller craters. 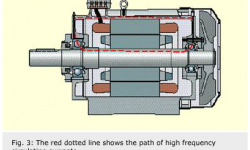 This means that fluting is not a primary failure mode produced by the current flow through the bearing itself. It is secondary bearing damage that becomes visible only after time and has the craters as its initial point. Because frequency converters are common today, micro-cratering is by far the most common type of current damage. The damaged surface appears dull, characterized by molten pit marks. Multiple micro-craters cover the rolling element and raceway surfaces. Crater sizes are small, mostly from 5 to 8 µm in diameter, disregarding whether or not the crater is on an inner ring, outer ring or a rolling element (Fig. 6). The real shape of these craters can only be seen under a microscope in very high magnification. 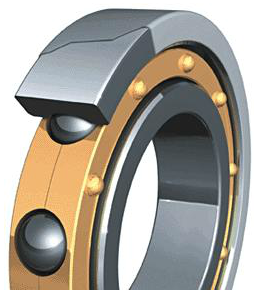 Current discharges also cause the lubricant in the bearing to change its composition and degrade rapidly. The local high temperature causes additives and the base oil to react, and it can cause burning or charring of the base oil. Additives will be used up more quickly. Thus the lubricant gets almost hard and blackened (Fig. 7). A rapid breakdown of the grease is a typical failure mode that results from current passage. Currents are not all the same. We have to distinguish between DC current and AC current applications and the behavior of INSOCOAT bearings in these applications. In DC applications, an INSOCOAT acts as a normal (pure ohmic) resistor. The aluminum oxide layer is a pure insulator and, therefore, only the ohmic resistance, R, of the layer is the important quantity. The breakdown voltage of the standard layer is given as 1,000 VDC and the resistance is bigger than 50 MΩ, which provides efficient insulation of the bearing. In AC applications, especially at high frequencies produced by PWM-converters, we have to consider that this is no longer valid. We have to develop an equivalent electrical circuit diagram of the whole bearing that considers all elements of an INSOCOAT bearing, such as inner and outer ring, rolling elements, the cage, the lubricant and the contact surface area between rolling elements and raceways and the ceramic coating. One possible approximation of the bearing equivalent electrical structure is shown in Fig. 8. The massive metal elements in high frequency (HF) electrical fields have a very complicated three-dimensional structure. The possible presence of eddy currents within this structure has to be considered. The contacts between outer ring and rolling elements and between rolling elements and inner ring create capacitances. The values of these capacitances change stochastically according to the dynamics in bearings, for example due to vibrations. This is a complex value where R [W] is the DC (ohmic) resistance of the system, C [F] is the capacitance and ƒ [Hz] is the frequency. where: A is the coated contact surface area, s is the thickness of the ceramic coating, εr is the relative dielectric constant for the insulating coating and ε0 is the dielectric constant in vacuum. In order to fulfill customer demands and to react to requests from the market, SKF has researched and will continue to investigate the behavior of INSOCOAT bearings under the influence of high frequency currents and voltages in detail. 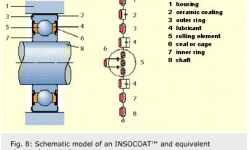 SKF is able to provide information about the impedance and the capacitance behavior of INSOCOAT bearings as a function of frequency and for different ceramic layer thickness. Fig. 9 and fig. 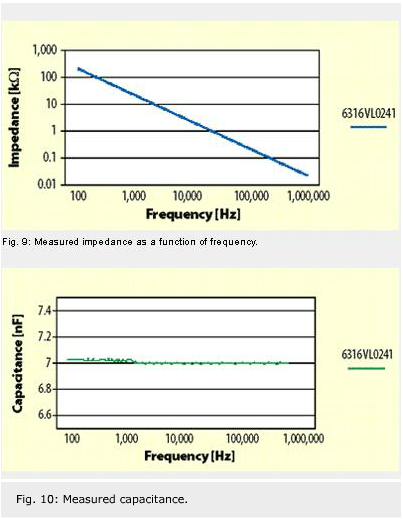 10 show typical graphs of the impedance and the capacitance of a coated deep groove ball bearing outer ring. To decrease the capacitance of INSOCOAT bearings and to give a bigger benefit to the customers, SKF is able to offer electrically insulated rolling bearings with bore-coated inner rings (VL207 series). The big benefit of the bore-coated bearings is the smaller contact surface area of the inner ring compared to a coated outer ring, meaning that the capacitance will be reduced significantly. For special applications, coated outer rings with increased thickness of the ceramic coating, up to 300 µm, and hybrid bearings are available. 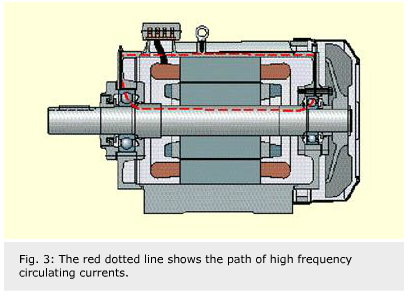 As mentioned, the problem of bearing currents in induction motors fed by frequency converters is very complex. Many parameters have to be considered and the entire drive has to be regarded as a whole system. 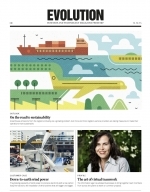 In future, the use of variable speed drives, especially in industry, will further increase. There is also a trend towards higher switching frequencies and faster voltage rise times (du/dt) of the PWM converters. SKF is aware of this development and will improve the electrical behavior of INSOCOAT bearings in order to fulfill the increasing demands of the market. In cooperation with several customers, SKF is investigating the phenomenon of bearing currents in detail. So far, one very important fact has been recognized: Bearing currents can be reduced to a harmless level only if all components are optimized, especially the frequency converters, which are the main cause for bearing currents. 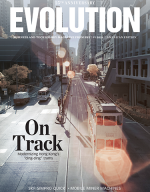 SKF is committed to developing reasonable, cost-effective solutions to this important problem.